Mr Clinton added: “Nobody wants to go back to the bad old days. 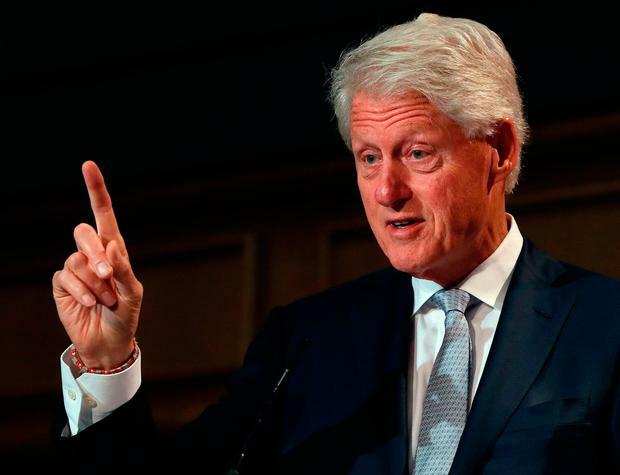 The former US president was introduced onto the stage at Dublin Castle by businessman Denis O’Brien, who praised Mr Clinton for his lifetime of public service and in recent years as a private citizen helping the marginalised. Earlier in the day, President Michael D Higgins warned of “a new arms race” among some permanent members of the UN Security Council. Mr Higgins said: “The arms industry now exports weapons of death and destruction for use in Syria, the Democratic Republic of Congo and Yemen.